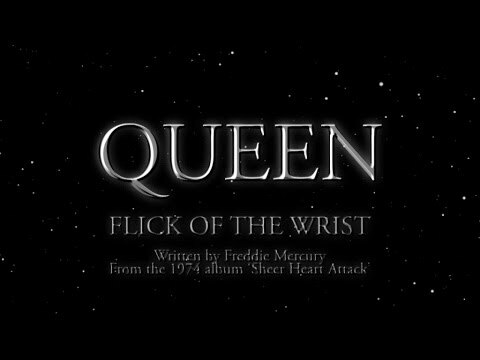 "Flick of the Wrist" , written by Freddie Mercury, was the Double A-side of "Killer Queen" but it was much less promoted and therefore not as popular outside the Queen fandom. The song includes Mercury singing octave vocals. When Brian May returned to work having recovered from a bout of acute hepatitis, he had not heard the song before he recorded his guitar and backing vocals.